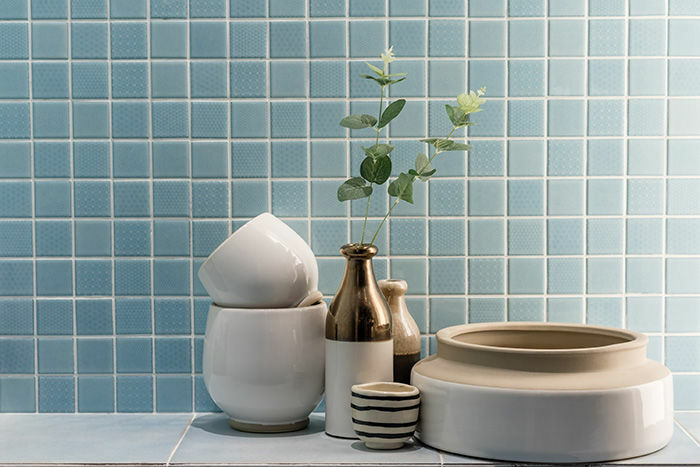 Tile floor, known for its durability easy maintenance and cost effectiveness is gaining popularity as an alternative to carpet flooring; it is also a popular choice for kitchen and bathroom countertops. Just like carpet, ceramic tile flooring and countertops need professional attention in order to optimize the look and life of your ceramic tile. When it comes to maintaining your ceramic tile, rely on our certified expert technicians to keep your ceramic tile clean and sparkling. We are currently offering Tile & Grout Cleaning Specials. Find out how you can receive $25 off! Ever notice how the grout in between your tiles seems to get darker over time? That's because it's slowly absorbing dirt and grime causing discoloration. Hoffman Cleaning offers the best in tile and grout cleaning using cutting edge technologies that eliminate dirt and discoloration. Using a state of the art steam cleaning process and a special grout brush, our technicians expertly remove hard-to-clean grime and dirt. After your ceramic tile is thoroughly cleaned by Hoffman technicians, protect your investment by having your grout sealed. This grout and tile sealing process can extend the life of your ceramic tile and maintain its luster longer than a normal cleaning treatment. In addition to cleaning your carpets, The Hoffman Cleaning team can bring our professional Steam Cleaning Services to you and your home or business.